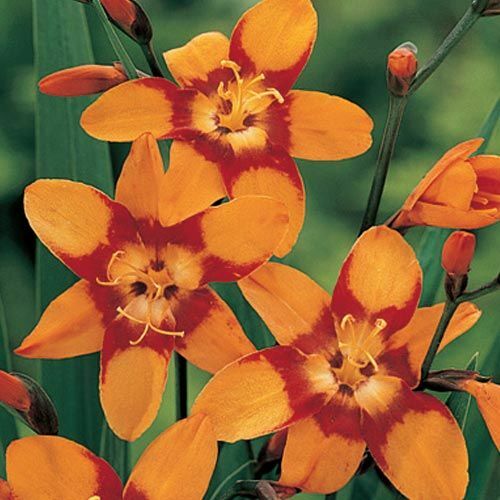 This large-flowered variety is the result of a cross between Crocosmia and Tritonia. 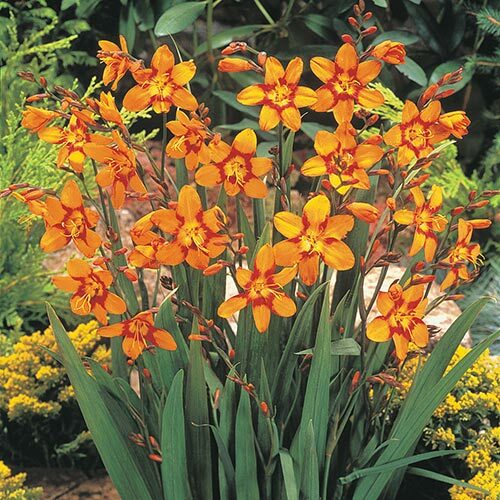 Widely grown for cut flowers, blooms are brilliant orange accented with a red halolike ring surrounding a yellow throat. Plant in a sunny spot. Foliage TypeMedium green, sword-shaped in flattish fan, similar to Gladiolus. Soil RequirementsPrefers well drained soil. 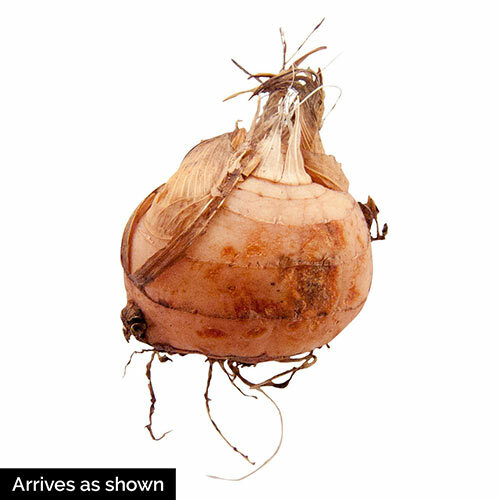 Winter CareZones 1-5, bulbs should be lifted and stored indoors over winter. Zones 6-7 mulch to help to protect roots. Zones 8-9 no winter care needed.